Greece has always been one of the top travel destinations on our bucket list, so spending 12 days exploring 4 different destinations with Journey Greece and SPG Hotels & Resorts was a dream come true! As much as we love traveling, we find it difficult to maintain a balanced lifestyle while on the road. We usually try to get back in a healthy routine when we get home to Bali (did you see our recent Bali self care post?) but as we are traveling, we tend to get off track. We were so excited to partner with Journey Greece for 12 days of fitness + wellness around Greece to prove it is actually possible to keep up with a healthy lifestyle while traveling! Next up on our fitness + wellness journey was Crete. Crete is Greece’s largest island and has so much to offer from its stunning landscapes and amazing food, to the strong sense of culture. There’s no surprise that Cretan people take such pride in being from this beautiful island! 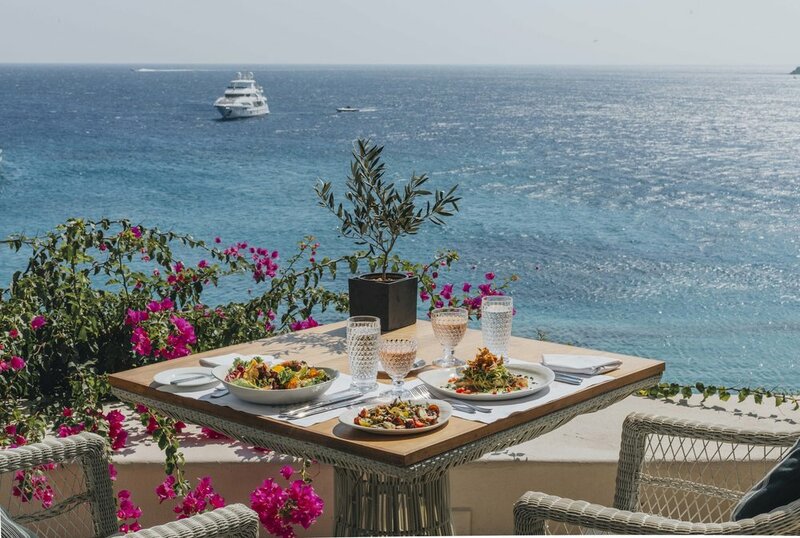 Crete’s strong agricultural presence and rich culinary tradition really set this island apart, and combined with the never-ending supply of outdoor activities, it was effortless to maintain a healthy lifestyle while on the island. The 3rd destination of our wellness journey was Costa Navarino, which is located in the region of Messinia in the Peloponnese. To be honest, we didn’t know much about this area beforehand and it really took us by surprise! The Peloponnese coast is full of mountains and rolling hills, white sandy beaches with crystal clear waters. The land is full of olive groves and vineyards, making for another strong food culture throughout the area. 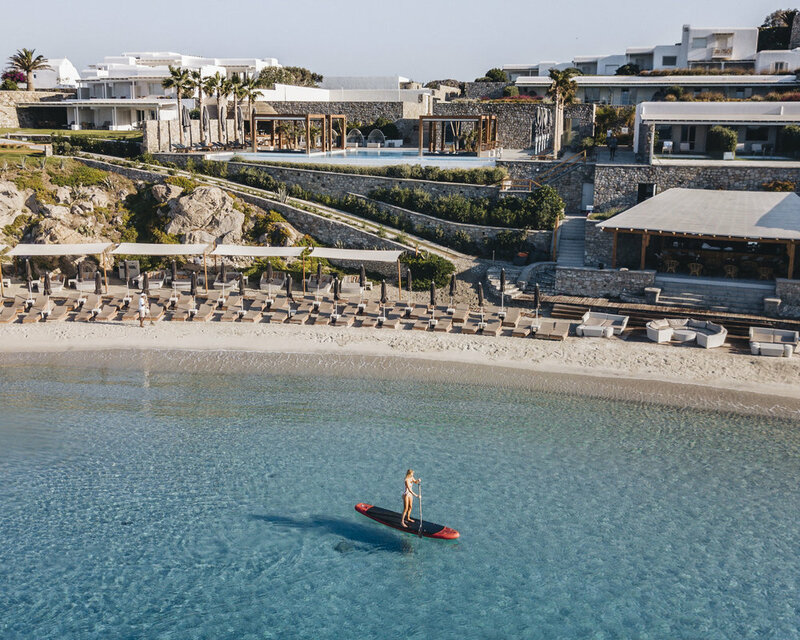 The Westin Resort Costa Navarino is fully equipped with an award-winning spa, signature golf courses, and luxurious landscapes that can only be fully grasped in person— it is basically a wellness dream! We couldn’t leave the country without making it to Greece’s most popular island, Santorini! This volcanic island is the caldera of an ancient (but still active!) volcano, and it’s rugged landscape and stunning vistas are sure to take your breath away. It is no shock that Santorini is such a popular tourist and honeymoon destination. We could not get over the beauty of this island and had so much fun experiencing it through Vedema Resort in Megalochori and Mystique Hotel in Oia. *This post was sponsored by Journey Greece, but our opinions, as always, are our own!